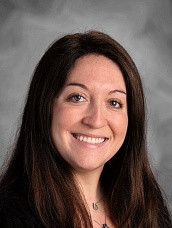 Jenny Leibowitz has been a Renaissance Academy faculty member for 15 years. She loves working with students of all ages and inspiring them to reach their maximum artistic potential. She received a BA in Theatre from Temple University, a M.Ed. from Arcadia University, and an MA in Theatre from Villanova University. In addition to teaching at Renaissance Academy, Jenny is an adjunct professor of English and Theatre at Albright College. She has a diverse theatrical background in acting, singing, directing, and is an internationally produced playwright. Each spring, the drama department produces a high school play in our intimate black box theatre space. Below is a pictorial production history of past performances.